It's easy to keep your employees' documents organized with our Document Folders. This article will walk you through creating document folders and adding in your documents. Step 1: Go to Company Settings and select Document Folders. Step 2: Create a new folder by clicking the + Add a Folder button in the top right corner. Step 3: Enter in your folder name then hit save. 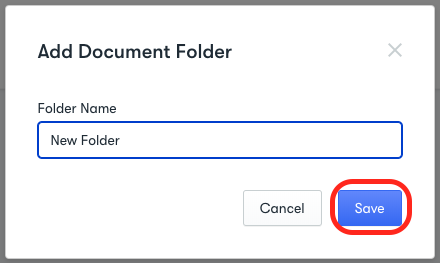 An empty folder with this name can now be found in the documents section for each employee. Go to Company Settings > Document Folders, and click the three dots to the right of the folder's name to either Edit or Remove. Editing the name of a folder will edit it everywhere on Collage (ie - in each employee's documents section). Deleting a folder will delete the folder under each employee's documents section. The contents will not be deleted, and will be found in the documents section. To add documents to folders, navigate to the document tab of your employee's profile. Select the three dots next to the document and then Move to Folder. A popup will appear with a dropdown menu. Select the folder you wish to move the document into from the menu. Then click save. 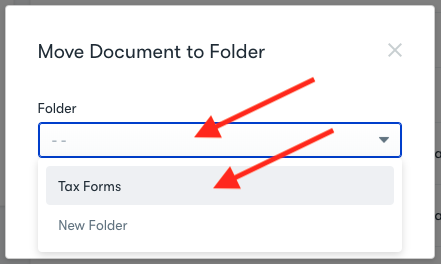 You will now be able to view the document when you click on the folder in the employee's document tab.